Santa is in big trouble: His reindeers have escaped, all the gifts are scatterde around the world and tomorrow is Christmas Eve. The mission is clear: Retrieve the gifts. But how can you raise a sleigh up in the air without your flying reindeers? Use the countless, snowy hills and simply let it take off. 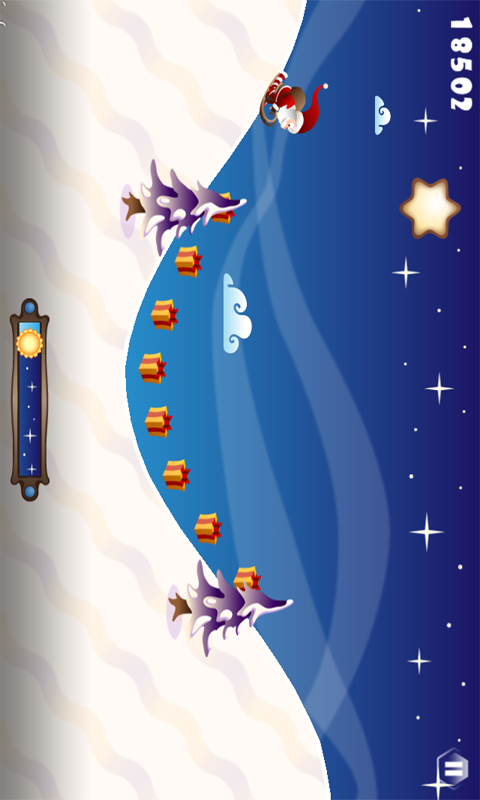 The more skillful you use the undulating landscape for your advantage, the higher and faster flies your sleigh. Caution: You gotta hurry before the dawn is breaking! 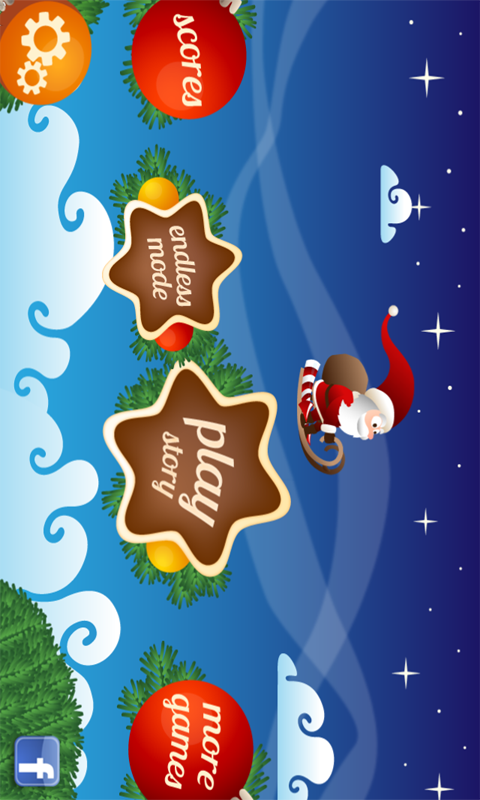 Help Santa and save the Holy Night! 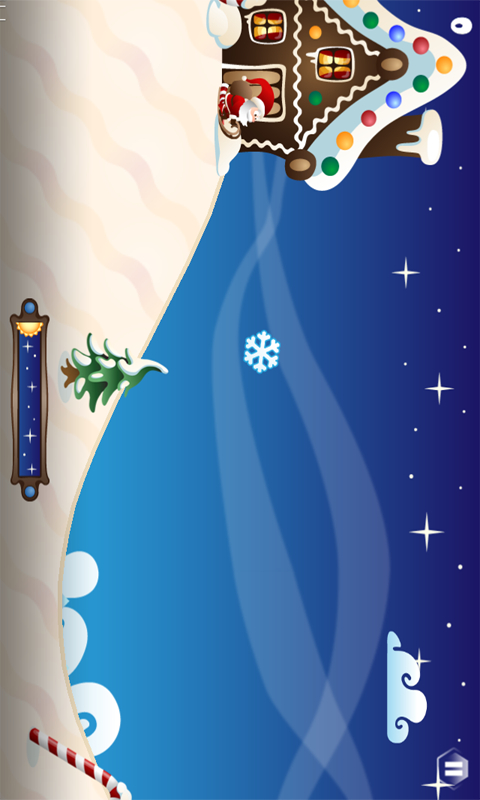 In “Tiny Santa- Xmas Hills” you lead Santa’s dashing sleigh with a single fingertip through the air and collect gifts in different countries, constantly persued by the imminent daybreak. 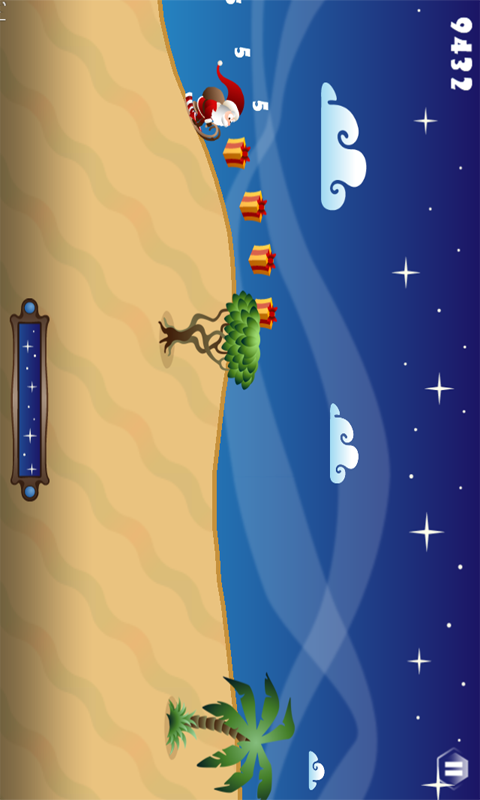 Catch the numerous goodies to drive your highscore in unattainable heights and become even faster. The race for Christmas hast just begun.